A single-storey, cement house of approximately 1,050 sq. ft. The house has 2 bedrooms and one bathroom and there are solid mahogany cabinets throughout. There is a 160 sq. ft. deck at the rear of the house over-looking the river. The house is sited on a large ½ acre parcel of land that borders on a river. Because of the ’reserve’ regulations that apply to riverside land in Belize, the actual size is much larger than ½ acre. The property is on a new development less that one mile from the village of Bullet Tree Falls and other riverside lots are available and it is expected that other homes will be built in the near future. A picnic area for residents is planned on the riverbank and there is a very nice swimming hole. 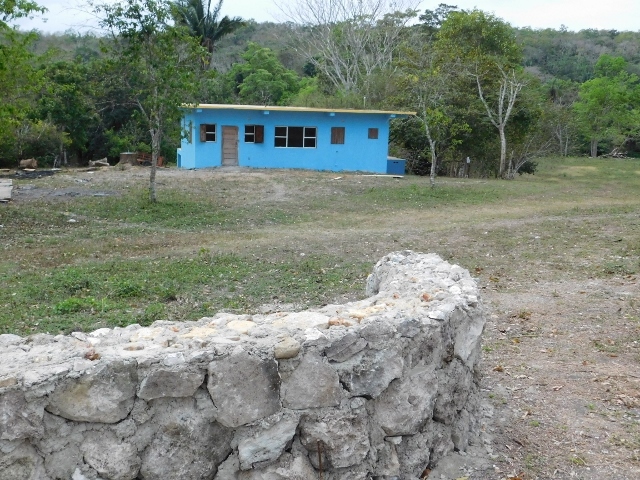 Bullet Tree is popular with ex-pats and is only two miles from the bustling tourist town of San Ignacio.